Sunday, Sep. 9, 2018, 1 – 4 p.m.
Join us for an all ages board game day at the Ballard Branch. Children, teens and adults are all welcome! Wanna play? We have a variety of board games including Blokus, Carcassonne, Ticket to Ride, Jenga and Scrabble. 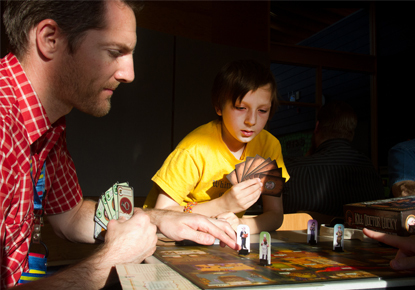 Have a board game you've been meaning to play? If you have it, bring it along and we will join you.